Loquacious. Learned. Analytical, Sardonic. Esoteric. Academic. Scholastic. Encyclopedic. Professorial. Wry. Finding the words to capture the personality of Tim Capps has a certain irony, as he was the Master Wordsmith (capitalization intentional and equally ironic). He certainly would get a chuckle out of this list, but better yet, he would have been able to expand upon it–without resorting to a Google search for synonyms! This word caught our attention: recondite. How apt. Tim Capps’ knowledge of the Maryland horse industry was recondite. 1: difficult or impossible for one of ordinary understanding or knowledge to comprehend : deep. 2: of, relating to, or dealing with something little known or obscure. Yes, Tim would agree that “recondite” is the appropriate word! On April 22, 2017, the Maryland horse industry lost one of its most erudite champions, Tim Capps. Tim had been hospitalized since suffering a stroke in February. Tim was a mentor to many, including this publisher. It was rather startling to learn that he was 71. When did that happen? He still had the same incredible dark head of hair (just with more salt), that youthful frame, always shod in gorgeous loafers like a young law associate. An intellectual equi-bon vivant. Here at The Equiery, when Tim called, your publisher would grab a cup of coffee and settle herself into what she knew would be a long phone call, an hour at minimum! But two hours was not unheard of. Tim gave generously and entertainingly of his knowledge, on both publishing and on politics, and this publication is the better for it. 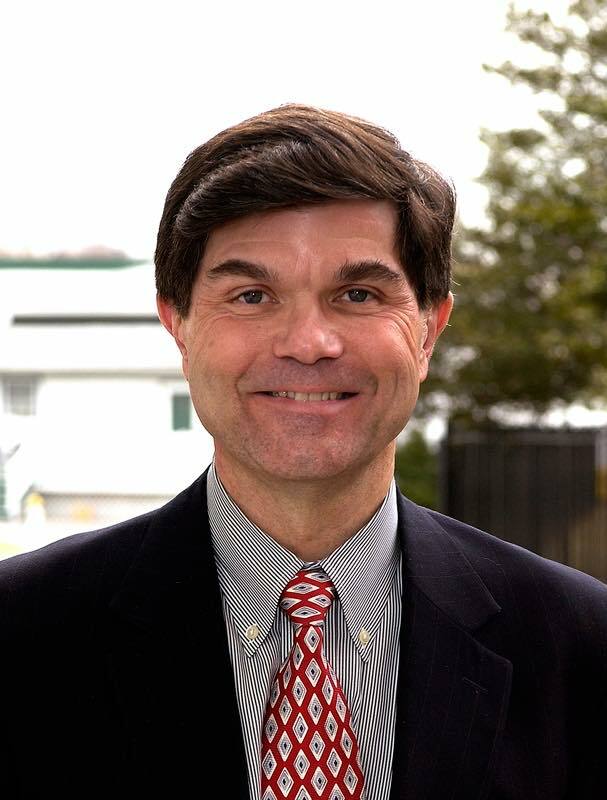 Tim served the Maryland horse industry in a variety of professional roles, including executive director of the Maryland Horse Breeders Association/Maryland Million, Ltd, publisher of the Mid-Atlantic Thoroughbred, and vice president of the Maryland Jockey Club. He was a relentless and, yes, loquacious advocate for our industry. Tim was generous with his time, and inclusive in his philosophies. Believing that a rising tide lifts all boats, Tim was an active member of the Maryland Horse Council executive committee, rarely missing a monthly meeting, and informally advocating for the interests of the Maryland Horse Council with Maryland legislators. He was crucial in helping to pass legislation that created the Maryland equine feed fund that enables the Maryland Horse Industry Board to do its marketing and industry development activities. The son of a Southern Baptist Minister, Tim had a prolific, yet secular career. With an undergraduate degree in journalism from the University of Tennessee, graduate degrees from George Washington University and Harvard Business School, Tim served in the U.S. Army during the Vietnam War as an infantry officer. Interestingly, for a while Tim worked as a stockbroker, later writing about the financial sector, before moving into the racing sector as editor and publisher of The Thoroughbred Record, and as executive vice president for The Jockey Club. As vice president of Matchmaker Racing Services, Tim was instrumental in developing the De Francis Dash at Laurel Park. Tim authored three books for Eclipse Press’ Thoroughbred Legends series, one on Secretariat, another on Spectacular Bid, and the third on the rivalry between Affirmed and Alydar. When Tim left Maryland, it was for what was undoubtedly his true calling: teaching. Rich Wilcke was the director of the Equine Industry Program in the College of Business at the University of Louisville, and he knew Tim would be a good fit. This was not the first time Rich had recruited Tim. 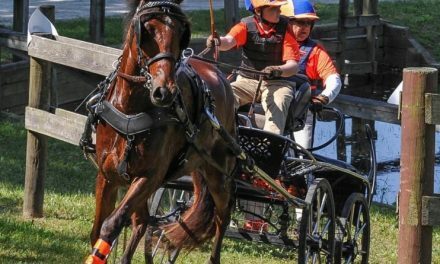 Rich had been the executive director of the Maryland Horse Breeders Association and Maryland Million, Ltd., and he was the one to choose his replacement. Likewise, upon Rich’s retirement from UofL, Tim became the director of the Equine Industry Program. There was a certain amount of irony in Tim’s move to Kentucky. You see, whenever he was in Annapolis, Tim delighted in explaining to legislators that, without Maryland’s historic Thoroughbred breeding farms, there would be no great Kentucky Thoroughbred breeding farms. With his crooked smile, Tim would trace the historic roots of Maryland racing and Thoroughbred breeding, the impact of the Civil War, the relocating of key breeding stock to the other side of the mountains, and bend the story arc into the present. Once again, the Kentucky Thoroughbred industry benefited from Maryland when they recruited Tim Capps to Louisville. In his decade at the University, Tim mentored and molded hundreds of young minds in the equine business field, including numerous Marylanders, And to our delight, some became Equiery interns! During that decade, Tim continued to observe and analyze the Maryland horse industry, particularly its racing industry, and continued to contribute occasional op-ed pieces to The Equiery. 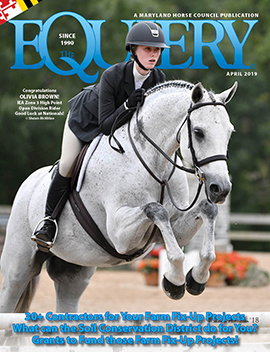 Everyone at The Equiery extends their sincerest condolences to Tim’s wife Nancy and their daughter Meredith.